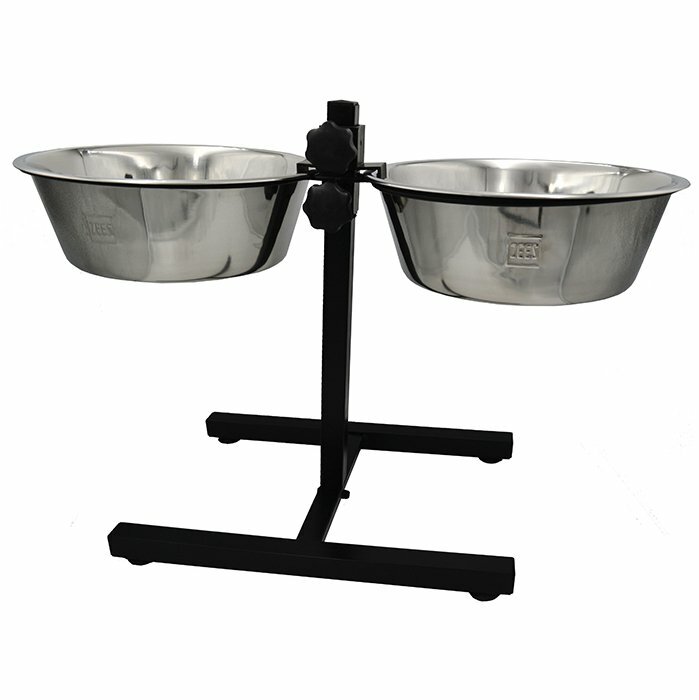 ADJUSTABLE DOUBLE DINER 2 x 4Litre BOWLS - 120_FEEDING & WATER ITEMS, Elevated Diners, Adjustable - Product Detail - Prestige Pet Products Pty. Ltd. The height adjustable feature of this Double Diner is ideal for dogs that have difficulty in reaching ground level food and water bowls.